Tinta is available for adoption in the UK for information, please contact Suzie Scott. Tinta is a tiny galga, more whippet-size than galga-size. 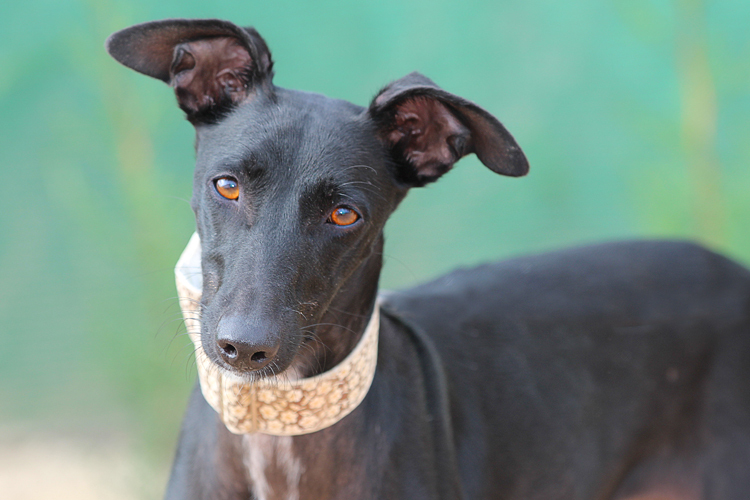 She’s new to GDS, — fun, friendly, loves other dogs, adores people and is keen to try new things. Watch her video here and see if she's the one for you! Yes, I am interesting in sponsoring or adopting Tinta!